Sharing Cities Sweden is developing a range of snapshot briefs on key insights from sharing cities about planning, development, implementation and evaluation. 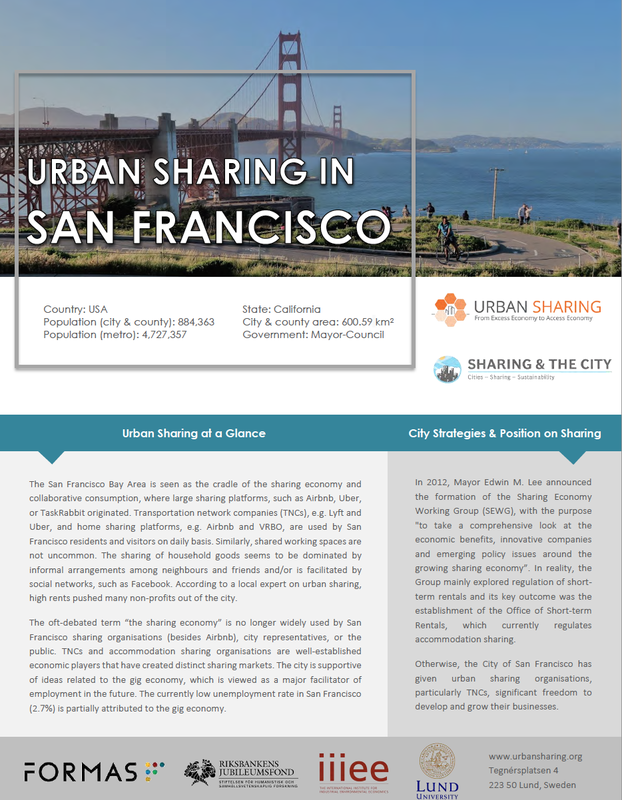 In addition, snapshot briefs are available from research projects on urban sharing. The Urban Sharing team has conducted mobile research labs in three cities: Berlin, London and San Francisco. The research team has explored the design of urban sharing organisations including their business models, strategies and visions, discussed sustainability of their practices and mapped institutionalisation processes for sharing in Berlin, London and San Francisco. The work has focused on sharing in three consumption domains: space, mobility and consumer goods. 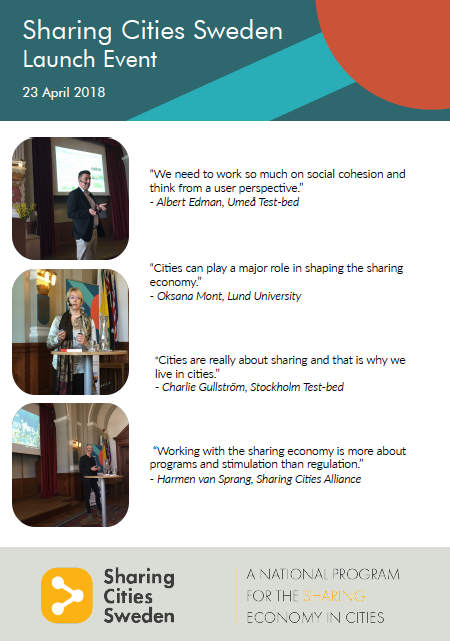 Preliminary findings and impressions that describe the landscape of the sharing economy in the cities are summarised in three snapshots below.